Each of the books in this series covers a great deal of information in very few pages and is therefore full of generalizations. Readers will find a smattering of facts about each state and graphics that do not always elucidate the text. Students would be better served by many other state-themed series already available. There are twelve other new books in this series. Reading list. Glos., ind. 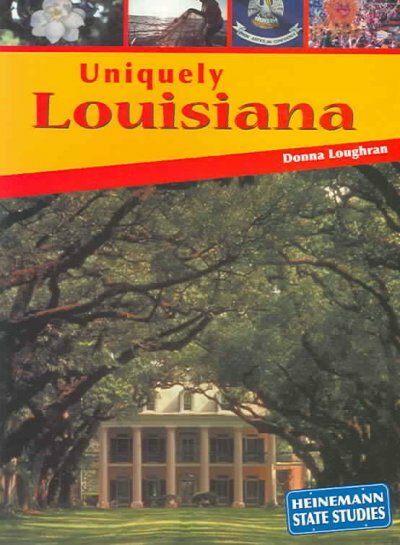 [Review covers these Heinemann State Studies titles: [cf2]Uniquely Arizona, Uniquely Louisiana, Uniquely Indiana, Uniquely Wisconsin,[cf1] and [cf2]All around New Jersey[cf1].] Copyright 2004 Horn Book Guide Reviews.